Our sister congregation in Irvine, Fullarton Parish Church, is holding a unique event at 7:30 pm on Wednesday 12th July, organised around the Men’s Scottish Open Golf tournament taking place at Dundonald Links this week. 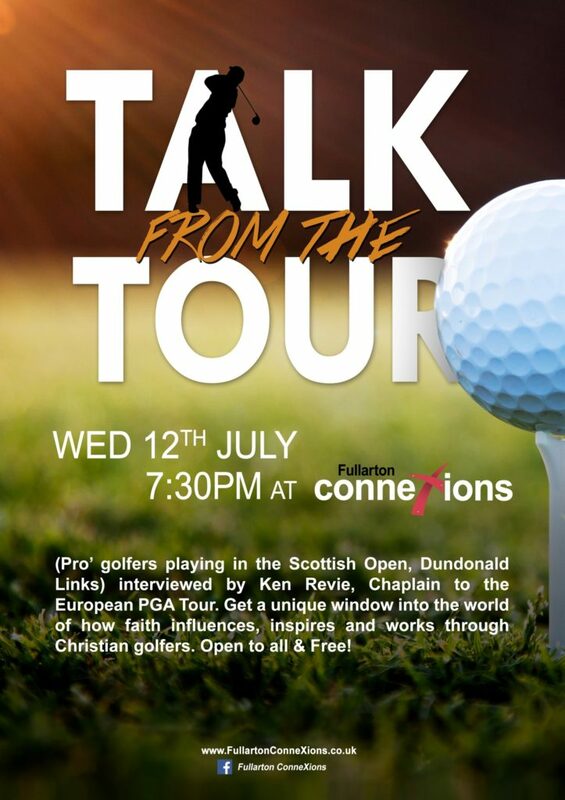 Talk From The Tour will interest people who like golf and sport, especially people of faith. Ken Revie, Chaplain to the European PGA Tour, will interview South African golfers Hennie Otto and Dean Burmester, giving an insight into the professional golfing world and the difference faith makes. There will be a chance to ask your own questions and meet the professionals afterwards. Come along, and bring your friends!